Speeding Light: Facebook Lessons (F on Day 6 of A to Z Challenge 2015). (F on Day 6 of A to Z Challenge 2015). Are the times to loathe. So we make time to be on Facebook. Debating, fighting trolls, bullies, cyber harassers while attempting hard to make sense out of our point. Perhaps trying to make people understand our point. 1. Tolerance while facing disagreements from friends. No two people think alike, how can friends? It is important to respect each other's opinions, not to get into a trail of updates that faintly demean your friends. 2. Standing up-to cyber harassers and bullies. Well yes, this is big one and I did stand up to one quite recently. 3. Satire while dealing with the trolls. When logic does not make sense, satire does! 4. Understanding what I just do not want to be. I live and let live, so I do not want to be a bigot, extremist and someone with an orthodox mindset. 5. Clarifying when being misunderstood. Not everyone will read what you meant with your words, in-fact they will dissect each of your words and come up with conspiracy theories. Arghh moments they are. 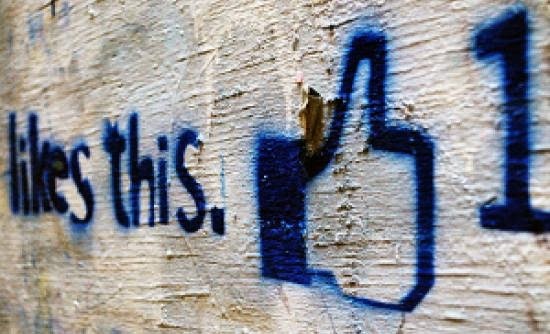 Author's Note: With Facebook and social media interactions, our ideas of life, philosophies and the way we view world is out in the open. Some of us are against this concept, I am not. I can put myself out there with my thoughts and things I truly believe in. And yes, from time to time I do feel that there is an overdoes. I switch off, thanks to the deactivate Facebook account option! P.S. Facebook Lessons for F - April 7, 2015. 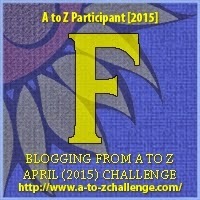 My sixth post for the A to Z April Challenge. Nice that you learnt these lessons right :) Not many take time to look back and introspect and yes, everything in life has lessons to teach us and Im glad that you got it right. Introspection brings the human in you.. thats what I believe. It makes me wonder why I ever wanted to be on Facebook. Yet I can't seem to quit! Agree to the points made, Shine. The trolls can be toxic! Sometimes people do nt realise that they are trolling and call it a debate. But when the same topic is discussed repeatedly on each thread, I am like.... there they go again.